Ident-A-Kid *Touchscreen Computer Package - Visitor Tracking All equipment you need for IAK VM, ready to run out of the box! •Please allow up to 2 weeks for fulfillment of this product. *Software sold separately. *Photo is for general reference, see description for list of included items. A one-time price of $1,550.00 will be added to your order. *A handling fee of $15.00 per package will be added to your shipping total at checkout. This package is the best way to get started with Ident-A-Kid VM. 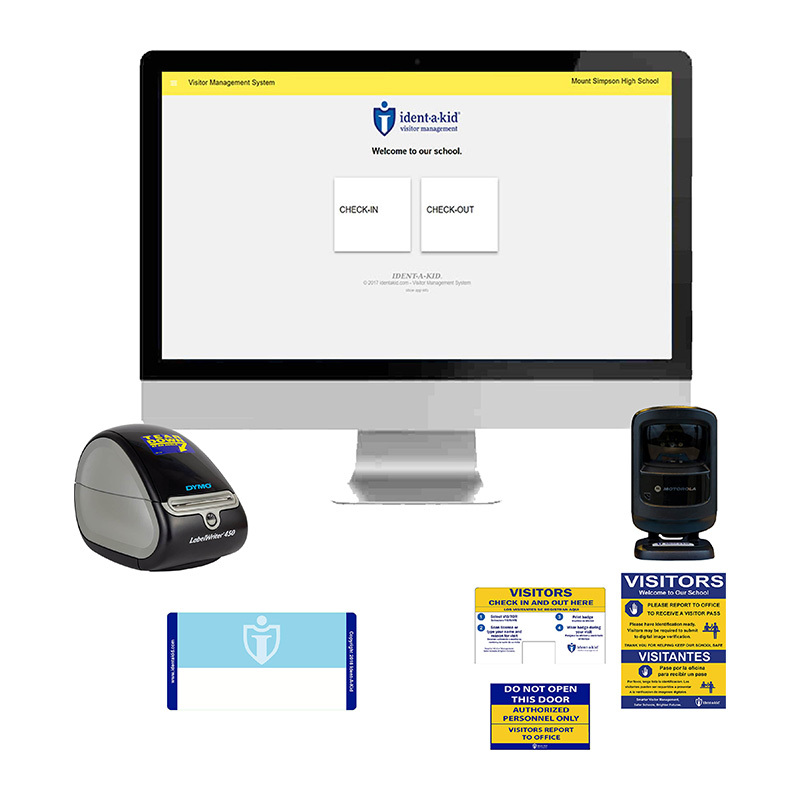 Including all the equipment you need for Visitor tracking, plus savings to match. Everything we include works perfectly together and all the software comes pre-loaded (software license sold separately). Touchscreen Compatible Desktop with a 21.5 inch display, Windows 10 Home Edition, Optical Scanner, powered USB hub with 7 ports, Dymo Single Printer, 7 Rolls of Visitor Labels, and Deluxe Sign Pack with an option to add on a webcam for $35.